Slice Magazine: Cutting up Canada one SLICE at a Time: Which NXNE Party shall we grace with our presence? Which NXNE Party shall we grace with our presence? Which party should we attend? So it goes like this... Nylon Magazine's Summer Music Tour is making it's stop in Toronto on Wednesday and with them they bring the Plasticines, the Living Things, Jaguar Love and the legendary Patrick Wolf; musician, singer/songwriter and designer extraordinaire @ The Mod Club. 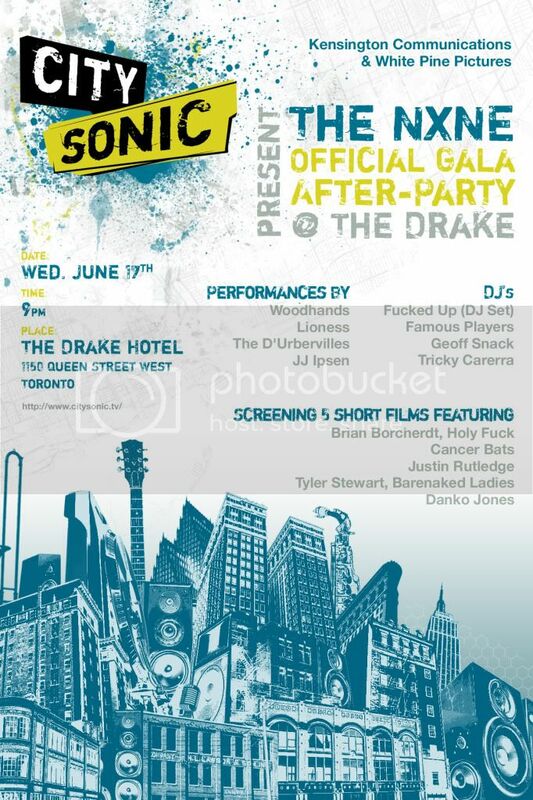 However, going on at the same time, somewhere across town is the City Sonic official NXNE kickoff after party @ The Drake Hotel, where we will be treated to an incredible line-up including The D'Ubervilles and DJ sets by Fucked Up and many others. Both are guaranteed to be a great time. So you see our dilemma. We were gonna skip out early on the Nylon Gig after being invited to the CitySonic Party, but then we realized... we'll be missing THEE Patrick Wolf and we can't have that! Solve this problem for us and we'll buy you a drink at the virtual bar... or if you're in Toronto the bar of whichever place we end up. Update: So the dilemma has been semi- solved... we're gonna split off and try and cover both because we care THAT much about our readers. 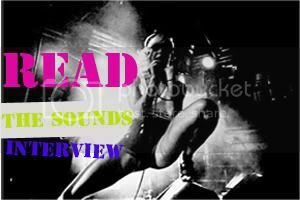 We'll be missing out on each others gig's but you'll be able to come with us to both... JEALOUS!